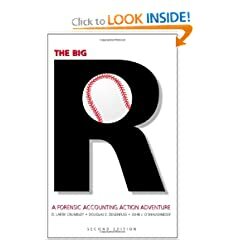 The Big R: A Forensic Accounting Action Adventure, Second Edition (9781594605284): Doug Ziegenfuss, D. Larry Crumbley, John OShaughnessy: Books. D. Larry Crumbley is the KPMG Endowed Professor in the Department of Accounting at Louisiana State University. Doug Ziegenfuss is a professor at Old Dominion University in Norfolk, VA. John O'Shaughnessy is a professor at San Francisco State University in San Francisco, CA.